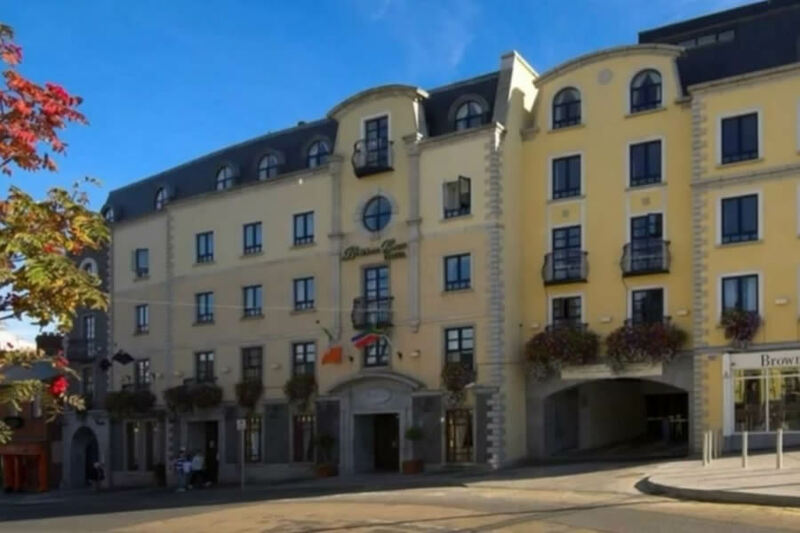 Located in the seaside village of Balbriggan, just off the M1 and only 10 minutes from Dublin Airport, the Bracken Court Hotel is a family run 4 star hotel. There is free WiFi access throughout the hotel. Balbriggan harbour and beach are only a few minutes walk away and if you fancy doing some sightseeing a little further afield Ardgillan Castle is just a 5 minute drive away and Skerries Mills and Newbridge House & Farm are only a 15 minute drive away. If you are looking for a more active day out for all the family both Funtasia Waterpark in Drogheda and Tayto Park in Ashbourne are great places to spend the day. I given this hotel two stars and that is just for the staff, other than that my stay was terrible, the Bed which is the most Important part of your stay was just awful the first nigh the springs where coming up through the matress and in the morning I had asked for the it to be changed well I was sorry I did as the matress they put on the second night was just as bad if not worse it was so bad that we ended up sleeping on the floor and chair at 4.30am , I did however mention it to the reception in the morning and she said they where in the process of changing all of the beds but unfortuanlty they did not get around to this room which is not good enough as in my opinion is the most important in the hotel stay. stayed for 1 night, wish it could have been longer ,the staff are brilliant ,breakfast was lovely ,room very clean & spacious, noise from nearby nightclub was the only downside. We will be back for a longer stay. Had another lovely stay in the Bracken Court Hotel at the weekend. Food was really excellent and piping hot. Room service breakfast was a real treat and very pleased with the quality of it. Rooms a good size and well equipped. Will definitely be returning again! Enjoyed a wonderful weekend break at the Bracken Court Hotel recently.Beautiful room,excellent food,excellent entertainment and most important-EXELLENT STAFF. F. Smith. Really enjoyed our stay here. Lovely comfortable and quiet room. Would recommend and would stay again. Great hotel, staff are brilliant, rooms are spotless and very comfortable. Love it, will be back! A pleasant stay in a comfortable and understated older style hotel. The staff were good and the food appetising. We intend to return for a few days to explore this part of the coast. Decent hotel, only issue is that i have never before been in a bathroom where there is absolutely no shelf or surround to the sink to place any items on, just never seen that before. Everything else was fine. Five of us stayed last week at this hotel and overall it was just ok. The food was reasonable, rooms average but our one big problem was that the bedrooms really stank of cigarette smoke. We mentioned to reception and they said they were still a smoking hotel but were working on it.Inside the hotel was very clean but the outside entrance area was very dirty and again containers on the walls were overflowing with cigarette ends. I would rate this hotel a 2 star and I do not understand the other raving reviews, as this was the reason I booked this hotel and I was quite disappointed. The hotel was lovely and clean, the staff are friendly too however there are room for improvement for the restaurant staff. Hotel was really nice staff were very friendly and helpful. Room was spacious, however dated. One of the bathrooms could not be used due to a broken shower door, however this was only advised to us a few hours after our arrival by housekeeping. There was also a foul smell throughout the room and we bought scented candles to mask the smell for the duration of our stay. Food was fine. Overall, disappointed. lovely hotel, very comfortable and Modern, also there was great atmosphere in the bar on the Saturday night. The staff where very friendly and helpful right through from check in. would definitely recommend to anyone to stay! Excellent great value, no frills. We stayed one night in the Bracken Court Hotel. It was clean, comfortable and convenient to Dublin's northside. Great chief, provided lovely breakfast and evening meal for us. Friendly & helpful staff. Free parking Great selection of shops in pavilions shopping centre close by. I was very impressed with this hotel the check was done in minets for eight of us. Our rooms were bigger than average.the staff were very friendly and helpful . Rooms were spotless beds very comfy the food is of a very high standard and again staff in the restaurant very friendly. I would have no problem recommending this hotel to everyone I don't think you would find fault. Hotel easy to find, ample parking (free). Check in was faultless, room was clean. Dinner was beautiful and breakfast was great. All staff were lovely and we had a great stay. All round very good value for money. Food and all staff were great. WOW what can I say! 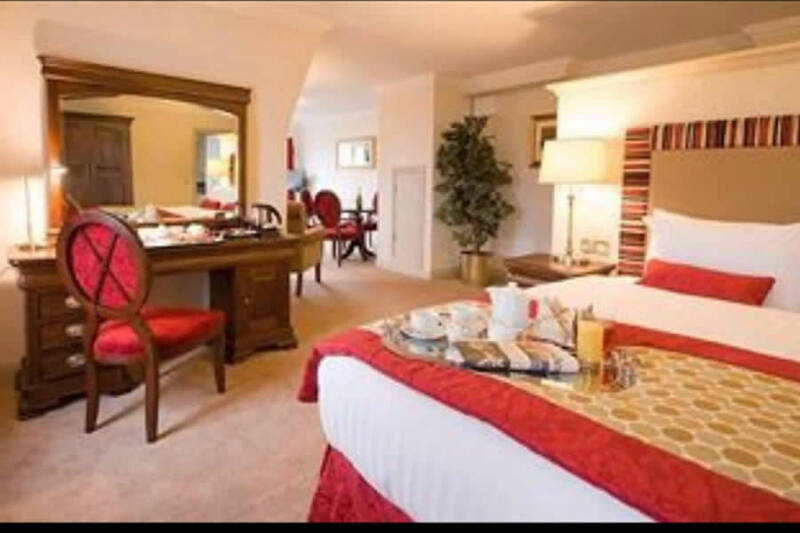 we had a fantastic stay in the Bracken Court, there were 4 ladies ranging in age from 23 to 80 and all of us were so pleased with the level of service from the staff at reception to the bedrooms( 2 twin rooms) which were so roomy and spacious and spotless, to the food which was superb. I cannot recommend this hotel highly enough and it is so accessible to Dublin if you want shopping and it is also right beside the sea. In my opinion, this hotel doesn't qualify as a 4 stat hotel!! We were very disappointed with our stay here. Cleanness of our room was terrible. Our room was very very small. The tv in our room didn't work, none of the stations worked. We reported this to reception and nothing was done. However the food here was very nice. There was a nice selection for breakfast. The bar staff were very friendly. ENJOYED STAY ROOMS WERE COMFORTABLE, BREAKFAST WAS GOOD, VERY FRIENDLY STAFF FROM CLEANERS TO BAR STAFF. WOULD STAY AGAIN. This was a very nice hotel. Room was spacious with a nice decor. Food was good too. Staff were friendly and effiecient. We will be back! My partner and I stayed in your hotel Friday night. We really enjoyed it. 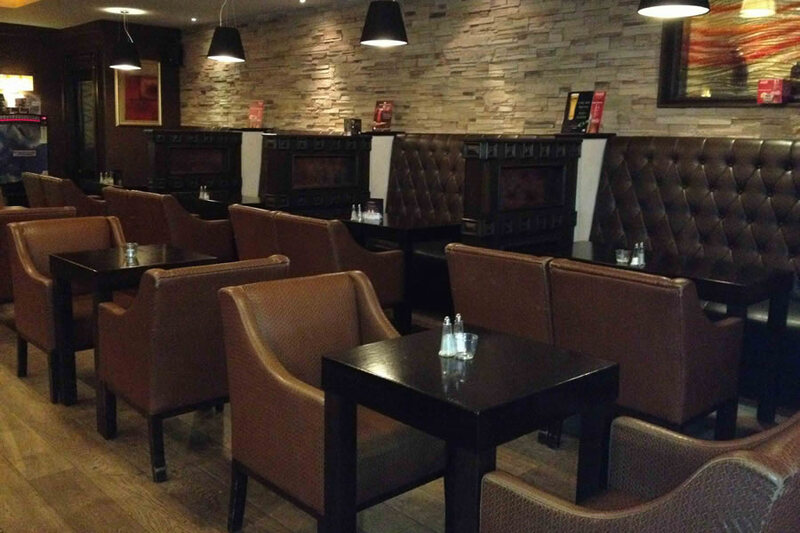 The staff were lovely and the food in the restaurant was excellent. I have told all my work colleagues about our experience and many will be booking very soon. I would definitely be returning in the future. Many thanks for an enjoyable stay and hope to see you soon. Suzanne x..
From the moment we walked into Reception and were greeted with a warm welcome, to the beautiful room we stayed in, the comfort of the bar/lounge area, the delicious dinner in the restaurant, we knew we had made the right choice staying here. The staff could not do enough for you or be friendlier. We got breakfast to the room and it arrived on time, piping hot and exactly what we ordered. The room was immaculate and very comfortable with a large bathroom. Our only regret was that we did not book two nights! Will definitely be back, 5 star treatment at a budget price. October 2011. Stayed in hotel for one night as we were at a wedding there. Lovely hotel, staff very friendly, very clean, and delicious breakfast delivered to our room the next morning. Would recommend it and stay again in the future. Had a lovely 3 nights, the hotel was lovely and the breakfast was great. The staff were very friendly. No parking fee for the car. There is a bit of road noise from the road, but that can't be helped as the hotel is on the main street. Is is a great base to explore Dublin, and the northern towns. I will stay there again. We had a lovely night, the hotel is mid class range, in gerneral all is grant for the money we paid, room was clean, staff were grant. thanks.